Let’s say you’ve got an aging laptop. It doesn’t exactly run like new any more. Maybe the battery is a bit weak even on a full charge, or perhaps the fan makes a lot of noise even after you cleaned it out. Traditionally, you’d have to pay a pretty penny for new laptop parts. 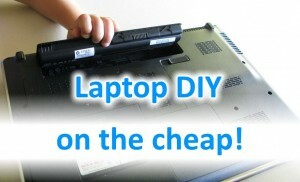 You’d also have a hard time finding instructions or guides on how to remove and replace any parts in your lappy. Well, nowadays, things are a bit different. 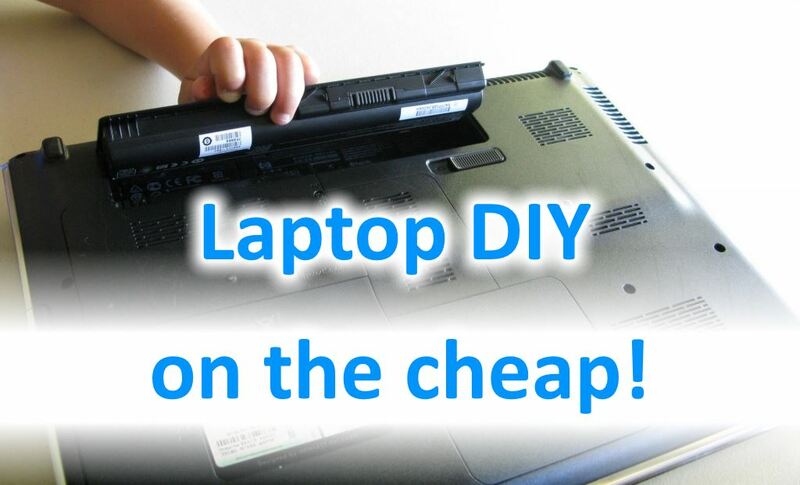 You can get all kinds of laptop parts on the cheap, and all the how-to guides you’ll need are already out there just waiting for you on YouTube! 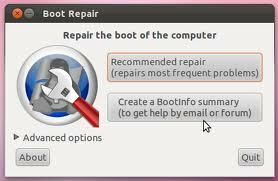 If you have a dual-boot setup on your computer involving some flavor of linux, at some point you will most likely encounter a problem with GRUB, the linux bootloader. For example, maybe you used a tool like Paragon Hard Disk Manager Suite to resize your OS partitions. Then you tried to reboot, and you got a GRUB error message followed by the GRUB rescue prompt. There are several ways to reinitialize GRUB, and most of them involve live CDs and mounting partitions and all kinds of other tricks that will probably make you crazy unless you’re a command-line commando in linux. Well, I don’t mind the command line, but I also have better things to do. Fortunately, there is a MUCH easier way to save the day: Boot-Repair! A lot of people think that defective RAM modules are easy to detect. They think that if you get a blue screen of death, the error message will reveal that the memory is bad, and that’s that. Problem is, it’s nowhere near that simple. There are two steps to diagnosing bad RAM. The first is that you are able to recognize the possible symptoms of bad memory, and the second is actually using a tool to confirm that your theory is correct. Then you just replace the bad module, and off you go. A defective memory stick can cause a LOT of different problems, some of which might surprise you. 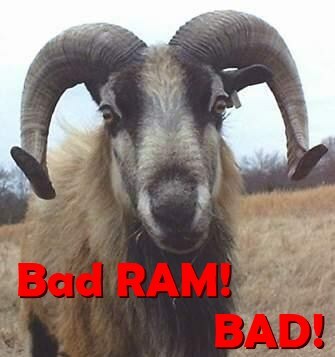 It may seem that your hard drive is corrupted or defective, when in fact it’s the RAM that’s bad! It can all get very confusing. And so, here I shall endeavor to describe what to look out for with your RAM, and what to do about it. Never let children use a chainsaw! Let’s face it: everyone loves chainsaws. 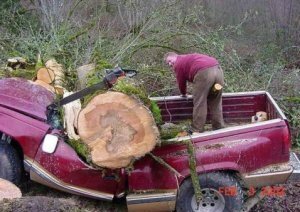 A chainsaw can make very short work of any trees, bushes, or branches that happen to be causing a problem. I have even seen a small chainsaw skillfully used in place of a large circular saw for home remodeling – no electricity required! They are seriously handy devices. The one problem with chainsaws is that they require maintenance. In fact, they require a lot of maintenance in order to perform optimally. A lot of “service” shops really don’t do a very good job of taking care of saws. If you can find a service shop with an old guy who still uses files to sharpen chains, then you have discovered a true gem! For the rest of us, you can save some bucks – and have a lot of fun – by servicing your chainsaw yourself. If you’re still using an inkjet printer, you have my sympathies. If you’ve taken the plunge and purchased a laser printer, you’ll probably want to keep it in tip-top shape for years to come. After all, they’re a lot cheaper than they used to be, but not that cheap! Most printer problems are caused by gummed up inner workings. A lot of people simply chuck their malfunctioning printer in the trash can and buy a new one. With the economy the way it is, that isn’t the best move for most of us. Lucky for you, it’s actually surprisingly simple to clean out a laser printer and make it work like new! Let’s face it: in this dawning age of high-definition video, a good old fashioned VHS tape seems rather, well, ancient. Nevertheless, a lot of people have movies on VHS that they can’t get on DVD. And sometimes, there’s even a bit of nostalgia attached to certain video cassettes. 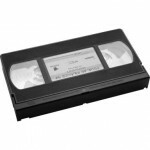 It has become more and more difficult to find an inexpensive VCR that doesn’t include a DVD player as well. If you already have a DVD player and you want to save some money (who doesn’t these days! ), you may find yourself out of luck. VCR repair is also a dying occupation. So if you can’t buy a new VCR, and you can’t get your current one repaired, what do you do? Why, you open up your current VCR and fix ‘er yourself!